First grade co-teachers at Cornerstone Prep Lester, Ashley Cowsert and Madison Jones, went on a hunt to find Stanford University graduates to encourage their class, Stanford 1. 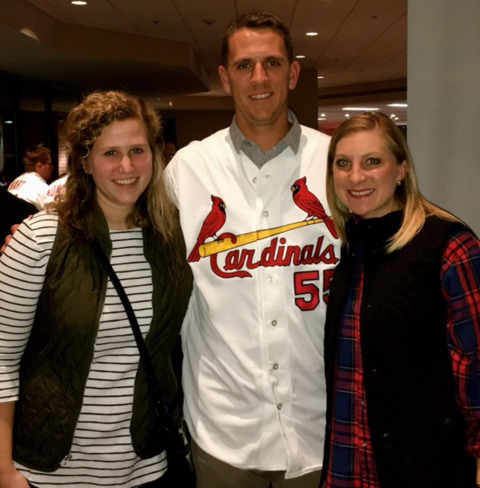 After some research, she found St. Louis Cardinals' player Stephen Piscotty, and since Ms. Jones and Ms. Cowsert are both Cards fans, they were very excited when he returned their request to talk! After Stephen made a phone call to Ms. Jones to learn more about her class, the Prepsters made a video of themselves doing their Stanford cheer. Stephen, who played baseball at Stanford University, then made his own video, where he encouraged them about the value of college and the importance of the character traits in PREP ROCKS. To top it all off, soon after the video conversation with the class, Stephen visited Memphis and gave them a box full of autographed hats from the St. Louis Cardinals. 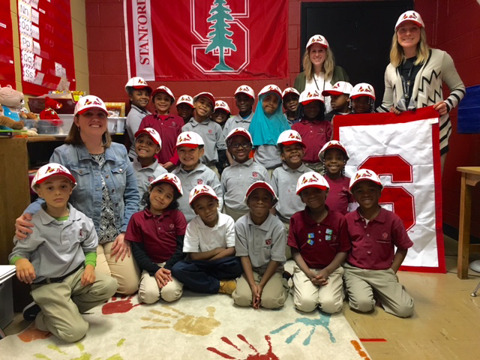 Here's a picture of Stanford one showing off their hats! We are grateful to Stephen Piscotty for taking so much time for the Prepsters in Stanford 1 and for is encouragement and thoughtfulness! We are so proud of this dynamic team, Ms. Cowsert and Ms. Jones, for bringing this awesome opportunity to their students!